Our understanding of the universe as a whole has reached a dead-end. In our view, current physics-based theories of the material world do not work, and can never be made to work, until they fully account for life and consciousness. We call this new perspective biocentrism. 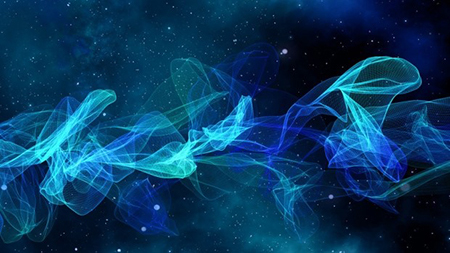 Our current scientific model claims that the universe was, until rather recently, a lifeless collection of particles bouncing against each other and obeying predetermined and mysterious rules. This view holds that life harbors consciousness — a concept poorly understood by science — but it is of little relevance in describing the universe. There’s a problem with this supposition. Consciousness is not just a pesky byproduct or irrelevant item, the way a buzzing mosquito might interfere with a biologist’s concentration as she skims algae off a lake. No, consciousness is the very matrix upon which the cosmos is comprehended. It is the movie screen upon which our worldview is projected. If it is bent or distorted or contains some unsuspected color, then all our perceptions of the cosmos seem fundamentally erroneous. And this is one of the central themes of biocentrism: That the animal observer creates reality and not the other way around. This view of the world, in which life and consciousness are central to understanding the universe, hinges on how subjective experiences interact with physical realities. Without perception, there can be no reality. Before applying this on a universal scale, consider your own kitchen. Its contents assume all of their familiar forms, shapes and colors, whether or not you are in it. Or do they? At night you click off the light and leave for the bedroom. Your kitchen stays the same all through the night. Right? Wrong. The refrigerator, stove and everything else are composed of a shimmering swarm of matter/energy. 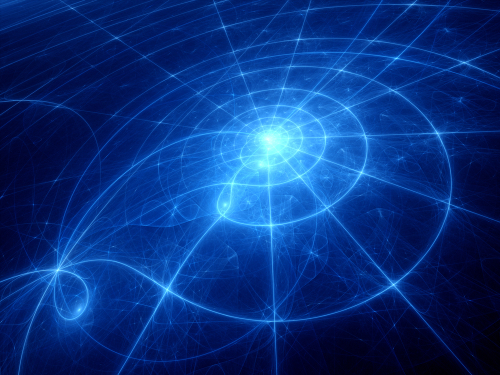 Quantum theory tells us that not a single one of those subatomic particles actually exists in a definite place. Rather, they merely exist as a range of probabilities. In the presence of an observer–that is, when you go back in to get a drink of water — each particle’s wave function collapses and it assumes a position, a physical reality. Moreover, the shapes and colors known as your kitchen are seen as they are only because photons of light, which possess no inherent visual properties, bounce off objects and interact with your sensory system. Biocentrism is no minor perceptual tweak. Our entire education system assumes that we perceive external pre-existing realities and play little or no role in their appearance. Scientists and non-scientists alike typically imagine an external world existing on its own; with an appearance that more or less resembles what we see. By this reasoning, the human eye and brain allow us to cognize the actual visual appearance of things, and to alter nothing. Not so, says biocentrism. Another strong argument for biocentrism is that the universe has a long list of traits that make it appear as if everything from atoms to stars were tailor-made just for us. There are over 200 physical parameters so exact that it strains credulity to propose that they are random. These fundamental constants of the universe are not predicted by any theory–they all seem carefully chosen, often with great precision, to allow for existence of life. Tweak any of them and you never existed. Some scientists call this revelation the “Goldilocks Principle,” because the cosmos is not “too this” or “too that,” but rather “just right” for life. Eschewing teleological justifications, biocentrism posits that if the universe is created by life, then a universe that doesn’t support life could not possibly exist. Quantum experiments, showing that the results depend on whether anyone’s watching, make no sense at all absent a biocentric basis for the cosmos. Oddly enough, so do space and time, which according to biocentrism, are forms of animal sense perception. When we speak of time, we inevitably describe it in terms of change. But change is not the same thing as time. Everything we perceive is actively being reconstructed inside our heads. Time in this sense can be defined as the summation of spatial states–much like in a film–occurring inside the mind. So what is real? If the next mental image is different from the last, then it is different, period. We can award that change with the word time but that doesn’t mean there is an actual invisible matrix in which changes occur. That is just our own way of making sense of things. There is a peculiar intangibility to space, as well. We cannot pick it up and bring it to the laboratory. Like time, space is not an external object. It is part of an animal’s mental software that molds sensations into multidimensional objects. We have come to regard space as sort of a vast container that has no walls. But this notion is false. By treating space and time as fundamental and independent things, science picks a completely wrong starting point for understanding the world. By contrast, biocentrism offers a springboard to make sense of aspects of biological and physical science which are currently insensible. This brief synopsis of biocentrism is just the iceberg’s tip. To grasp its connotations is to abandon the shaky foundation underlying our historical understanding of the universe. The 21st century is predicted to be the Century of Biology, a shift from the previous century’s focus on physics. It seems fitting then to begin the century by employing biology to unify all sciences. Let’s stop leaning on the purely theoretical, such as imaginary strings, and instead start with a much simpler idea, the roots of which are buried in all of us. Adapted from Biocentrism: How Life and Consciousness are the Keys to Understanding the True Nature of the Universe by Robert Lanza with Bob Berman, BenBella Books, Dallas Texas, May 2009. 224 pp. ISBN: 978-1-933-77169-4. Robert Lanza, M.D. is currently chief scientific officer at Advanced Cell Technology, and a professor at Wake Forest University School of Medicine. 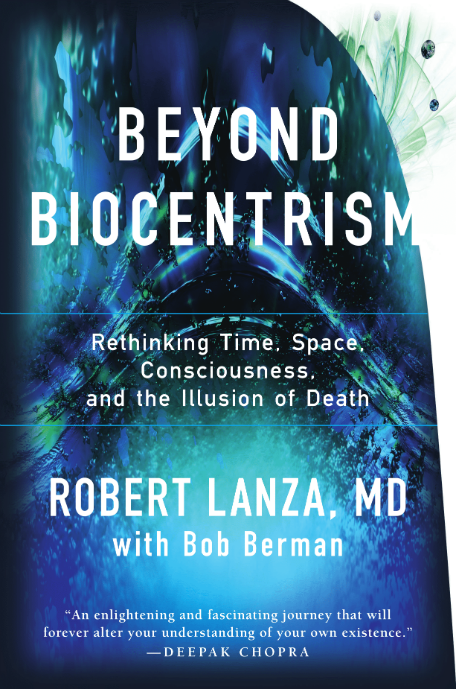 Lanza has worked with some of the greatest thinkers of our time, including Jonas Salk, B.F. Skinner, Christiaan Barnard, and Nobel laureates Gerald Edelman and Rodney Porter. He has authored over 20 books, including Principles of Tissue Engineering and Essentials of Stem Cell Biology, which are considered definitive references in the field. Bob Berman is the most widely read astronomer in the world. Author of over 1,000 published articles in publications such as Discover and Astronomy magazine, where he is a monthly columnist, he is also astronomy editor of The Old Farmers Almanac. He is adjunct professor of astronomy at Marymount College, and writes and produces a weekly show on Northeast Public Radio, aired weekly during NPR’s weekend edition.